Sunday, Sep. 16, 2018, 2 – 4 p.m.
Join us for a fascinating talk on the history of Camp Long and Schurman Rock by Jeff Smoot. Have you ever wondered about the Schurman Rock at West Seattle's Camp Long? Built in 1938-39, Schurman Rock was the world's first artificial climbing wall. Join West Seattle author Jeff Smoot for a fascinating discussion of the creation of Camp Long and the biography of Clark Schurman, a local Scoutmaster and Mt. Rainier climbing guide, who built the rock to teach mountaineering skills to kids. Listen to an introduction by Jeff Smoot. 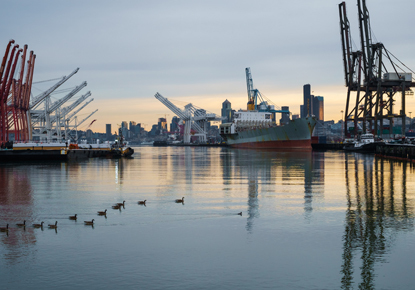 Southwest Stories offers monthly presentations on the history of West Seattle and the Duwamish Peninsula on the third Sundays at the five branches in West Seattle. Presented in partnership with the Southwest Seattle Historical Society.